V-TRED™ technology for commanding wet traction for ultra high-performance driving. Directional OneTRED™ design features three integrated tread zones for superior traction and handling. 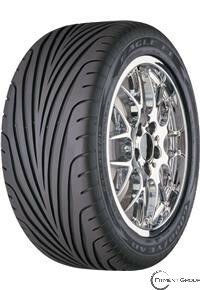 V-TRED™ Technology delivers excellent wet traction and a smooth, quiet ride. AAtrax™ tread compound provides 'AA'-rated wet traction and outstanding dry grip without sacrificing treadwear. Rim protector helps guard wheels against accidental curb damage.